Portrait of Alfonso X. Wikimedia Commons. King Alfonso X of Castile was born on November 23, 1221 in Burgos, Castile (Spain) and died at the age of 63 on April 4th, 1284 in Seville, Spain. 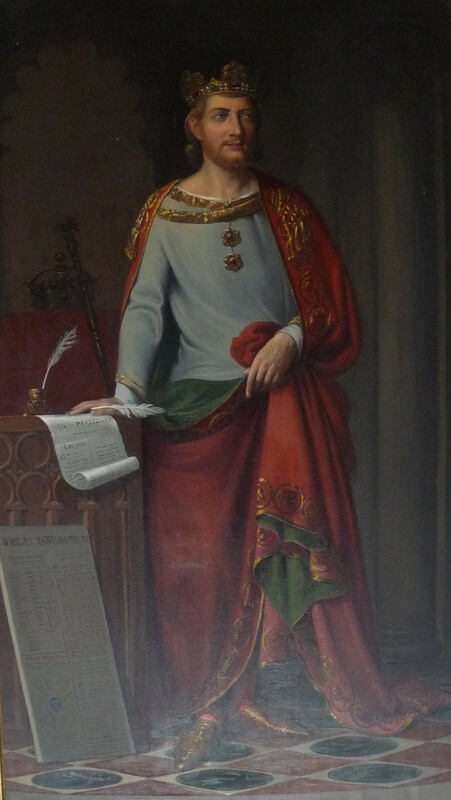 Alfonso X of Castile first became King in 1252, succeeding his father. His father was King Ferdinand III and his mother was Queen Beatrice, the granddaughter of the Holy Roman Emperor Fredrick I. Alfonso’s most notable impact in the history of science was collaborating with scholars of several different backgrounds in the recovery of Arabic and Andalusian astrological materials. In order to encourage the development of astronomy and mathematics, one of Alfonso’s main focuses was supporting several translations of important scientific documents and intellectual works, from Arabic into Latin and Castilian. This made the documents more accessible to a greater population of scholars in Christian Europe. He had eight scholars in his court to help translate these works. For instance, Alfonso’s translations include literary works from the Lapidario, two books on the construction of an equatorial written by Ibn al-Samh, Zargali Ali ibn Khalaf’s book on the use of the plate for all latitudes, and Zarqali’s treatise on the construction of the armillary sphere. Furthermore, the first book of the Libros del Saber de Astronomia, is the treatise on mapping the heavens. Alfonso had Ibn al-Haytham’s Cosmography translated. Alfonso also had Yehudah ben Mosheh and Rabicag write the Spanish canons under the influence of Zarqali and Toledan Tables. Nonetheless, Alfonso patronized two ambitious historical compilations, the Primera Cronica General and the General Extoria designed to present a complete history of the world. The Alfonsine tables are Alfonso’s most important astronomical work. The tables are the first set of astronomical tables prepared in Christian Europe. They enabled the calculation of eclipses and the positions of planets at any time based on the Ptolemaic mathematical models. The tables were created in Toledo, Spain. There were two versions of the tables: Spanish and Latin, they were not widely known until the Latin version was made. Later, a new set of Alfonsine Tables appeared with numerical tables in Latin. Many authors from Europe (John of Saxony, John of Murs, John of Ligneres) wrote original cannons allowing the use of the numerical tables. Having the Latin version, the Alfonsine table spread throughout Europe and were the best astronomical tables for more than two centuries. The tables were successful and standard in Late Medieval and early renaissance Europe until 1551. 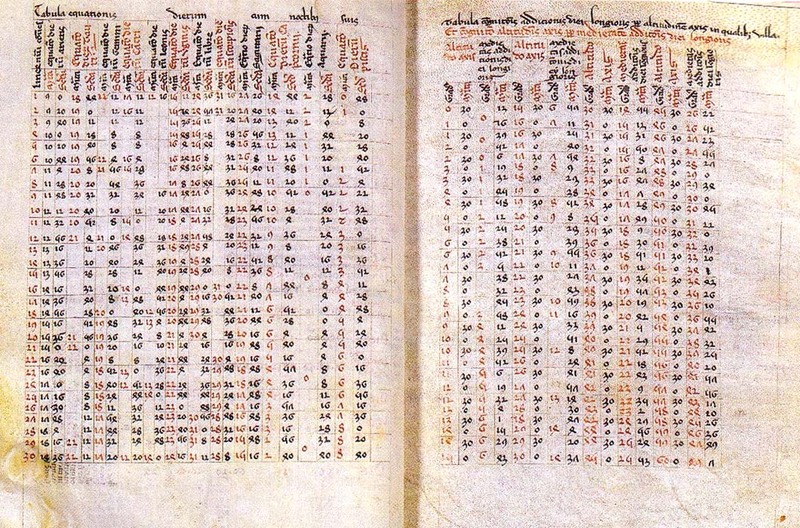 Nicolaus Copernicus was able to use parameters derived from the Alfonsine tables in his Commentariolus, and the Alfonsine tropical year of 365 days, 5 hours, and 49 minutes. This was the mean tropical year used in De Revolutionibus and became basis of Gregorian calendar reform. His collaborators were Muslims who converted to Christianity, eight Christians, of which four were Spaniards and the other four were Italians. These individuals were mainly involved in retranslations into Latin after the works were translated into Castilian. Also, another very important group of five Jewish people, two of which were authors of the Alfonsine tables, Yehndah was a translator and Rabiҫag was the one who wrote original works and built scientific instruments. Throughout his life Alfonso X of Leon and Castile had several achievements and later influenced many. His work preserved so many astronomical, mathematical, and scientific works in order to get the knowledge of others to a greater population of people. “Alfomso El Sabio.” Complete Dictionary of Scientific Biography. Vol. 1. Detroit: Charles Scribner’s Sons, 2008. 122. Gale Virtual Reference Library. Web. 5 Sept. 2014. “Alfonso X of Castile.” Princeton University. N.p., n.d. Web. 05 Sept. 2014. The Editors of Encyclopædia Britannica. “Alfonso X (king of Castile and Leon).” Encyclopedia Britannica Online. Encyclopedia Britannica, n.d. Web. 05 Sept. 2014.